Centralia, WA. 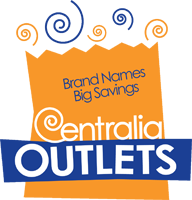 – May 1, 2015 – Centralia Outlets announces Francesca’s to open in summer 2015, with the official Grand Opening date to be released soon. The store will be located at 1414 Lum Road, next to Polo Ralph Lauren Factory Store and across the Gallery from Eddie Bauer Outlet. Francesca’s will join over 30 famous outlet tenants at the Centralia Outlets, including newly opened Kay Jewelers Outlet and major brands Polo Ralph Lauren Factory Store, Coach Factory, Nike Clearance Store, Gap Factory, Under Armour and Chico’s, just to mention a few.